Young Dave was unequivocal in his decision: he would take part in a leaders’ debate, but only one, and it had to take place before the election campaign began at the end of March. There would be no movement, and it was jolly well the broadcasters’ fault, I mean, who were they to expect Cameron to live up to all the hype of five years ago? Dontcha know that a chap is entitled to change his mind when he thinks he’s in front? You over there, yes you, Oik Miliband, don't you dare come any closer! Would the broadcasters buckle before this assault of Prime Ministerial authority? Ah, but they of all people have seen more than their fair share of what Robin Day so memorably - and rightly - called “here today and gone tomorrow politicians”. So the reply to that was a No. And the result is that The Blue Team blinked first, with the result that Cameron has now agreed to a debate after the campaign starts. This will be held on April 2 - which, by the most fortunate of coincidences, was the date for the first of three proposed debates that the broadcasters had already pencilled in. The news was duly reported by the broadcasters themselves (BBC HERE) and the press (Guardian HERE, Mail HERE). However, and here we encounter a significantly sized however, the Tory spin machine may have been overplaying its hand. Indeed, the Beeb’s James Landale has observed that “Mr Cameron may have been ‘a touch premature’ with his announcement”. Mil The Younger “said the broadcasters had not put forward a new offer, and added that he would not ‘sanction a proposal, at this stage... that writes off the two-way debate between me and David Cameron’” and the Lib Dems “said it was welcome news that the Conservatives had ‘finally agreed’ to take part in ‘at least" one debate’”. So are the other two debates still in play? The answer to that question has been provided by James Forsyth of the Spectator - but, to fit the Tory line, wants us to “look over there”, telling that “as well as one debate, a series of ‘election specials’ involving the party leaders has been proposed during the campaign”. Both Cameron and Miliband would pass before The Inquisition Of Pax Jeremiah, but - happily for Dave - would not debate together. As Forsyth admits, “It is easy to see why this set-up appeals to Downing Street. There is just one seven-way debate—and one in which Miliband will have to fend off the Greens and the SNP. Ukip also don’t get a great deal out of this arrangement, being confined to the one seven-way and the challengers’ debate. 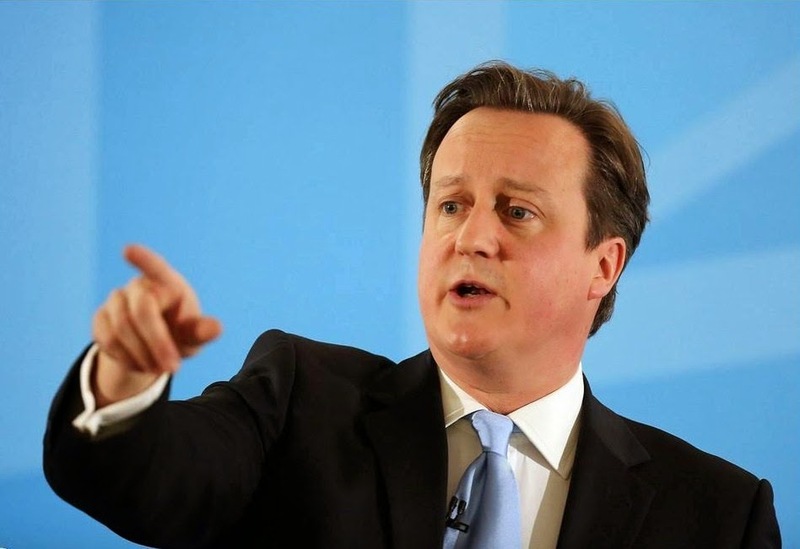 It also removes the risk of Cameron being empty-chaired and the debate about the debates”. In other words, this is the leaders’ debate news the Tories want us to see. If the broadcasters have not put forward a new offer, the stuff about Paxman and Dimbleby Major is just an excursion into Ron Hopeful territory. And the one certainty from the Downing Street smokescreen of spin is that their man blinked first. That means the empty chair and tub of lard are still in play. Hello Craig Oliver!